While there is a dedicated effort to feed and supply habitats for birds, there are less gardens feeding the needs of bees and butterflies. Traditional flower gardens filled with a variety of flowers, blooming between March to September, are havens for bees and butterflies. However flowering plants need to be ‘joined up’ routes and corridors where bees and butterflies can roam freely. These corridors can encompass domestic and community gardens, hedgerows, fields and wild habitats. The combination of cottage garden flowers, annuals and wildflowers work to create a nectar trail across a variety of landscapes. 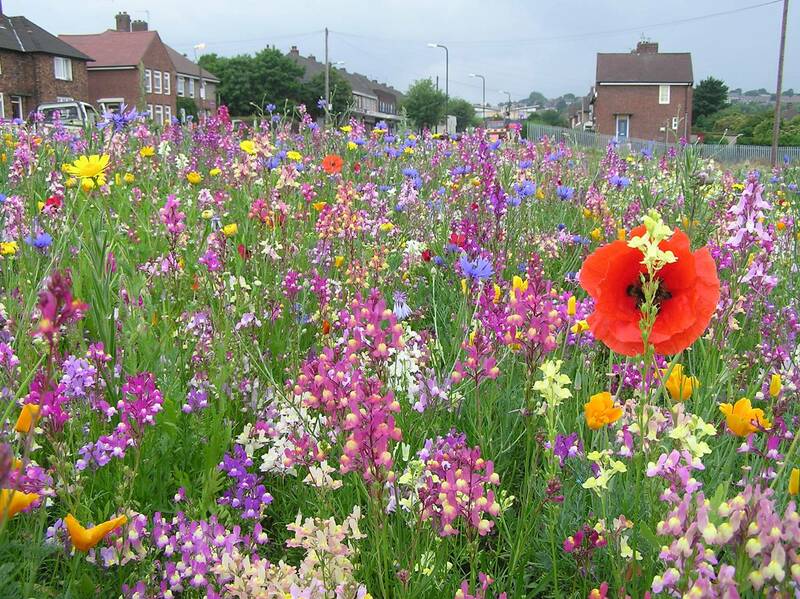 Drifts of flowers planted close together in a sunny location will attract bees and butterflies. 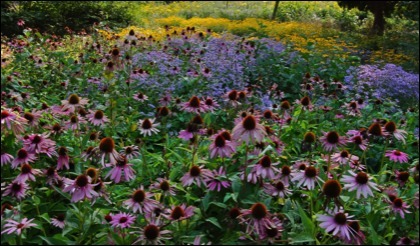 A garden should be a naturescape, or habitat for beneficial insects. The loss of flowering biodiversity habitats (i.e. wildflowers, flowering native hedgerows, and domestic gardens filled with a variety of flowers) is the cause of the decline of many bee and butterfly species. Changes in farming have deleted the contributions of hedegrows and wildflowers, which traditionally framed agricultural crops. The move away from hay to silage has also had negative impacts. Pesticides and pollution also contribute to the decline of bees and butterflies. In Ireland there are 101 species of bees including bumblebees, honeybees, and solitary bees which do not form colonies. There are currently 6 species of bees that are endangered in Ireland, a further 16 species are vulnerable and an additional 13 species are threatened. More than half of Ireland’s bees have been in decline since 1980, and 3 species of bees have become extinct. Bees are essential for the pollination of crops, fruits and native plants. The services of bees are of significant economic and ecological importance. An Taisce estimates that the value of this service to the Irish economy is 53 million Euros annually. Solitary bee species make their homes in holes within sandy or clay soils, while other species of solitary bees prefer to nest in dead wood, south facing stone walls or in hollow twigs or reeds. Bumblebees and honey bees live in colonies. “The root cause of most wild-bee declines is thought to be the drastic loss of flower-rich grasslands and other habitats which healthy bee populations depend on. They are all suffering from catastrophic habitat loss, which can be at least compensated for within household gardens. Gardens now provide a stronghold for bumblebees in an otherwise impoverished agricultural environment: furthermore, data suggests that the positive influences of gardens on bumblebee populations can spill over at least 1km into surrounding farmland. 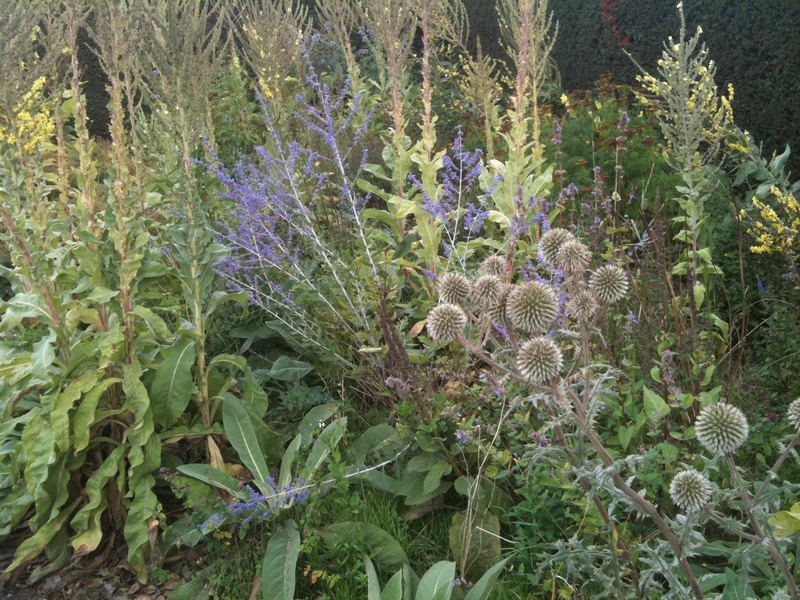 All gardeners should be encouraged to think of their plots as an ecosystem with plants and insects at their core. It is critical that wildlife gardening becomes just good gardening practice. Gardens generally don’t suffer from pesticide use, chemical run-off and soil imbalances. They can mimic natural habitats, offering multiple sources of pollen and nectar, food plants, water and shelter” (The Financial Times, February, 2011). Approximately 18% of butterfly species in Ireland are threatened. Butterflies are also pollinating insects, but do not transport the same volume of pollen as bees. However, they are able to move pollen over larger distances than bees. Butterflies are attracted to clusters of short tubular flowers (e.g. lilac, buddleia, verbena bonariensis, valerian). A sunny flower garden near a hedge will supply shelter from wind, retain moist ground for butterflies to drink from, and offer food for caterpillars (who are not seeking flowers, but often leaves). Caterpillars require wild grasses and common ‘weeds’ (i.e. thistles nettles, plantain, dandelion, docks) as their food source. Other caterpillars use the leaves from willow, blackthorn, hawthorn, alder, birch and oak as their food sources. During the winter months do not clean up your garden by cutting back overgrowth, as you might will disturb the habitat of caterpillars and their pupae. Dense vegetation, log piles and sheds are also places where butterflies might hibernate. Annual bedding plants do not offer nectar supplies for bees and butterflies, therefore they do not attract these insects. Bedding plants are temporary garden decorations that are disposed of once their blooming period is past. Double flowers do not produce nectar (e.g. double begonias, double petunias, double flowered carnations, double flowered peonies), and do not have any appeal for bees and butterflies. 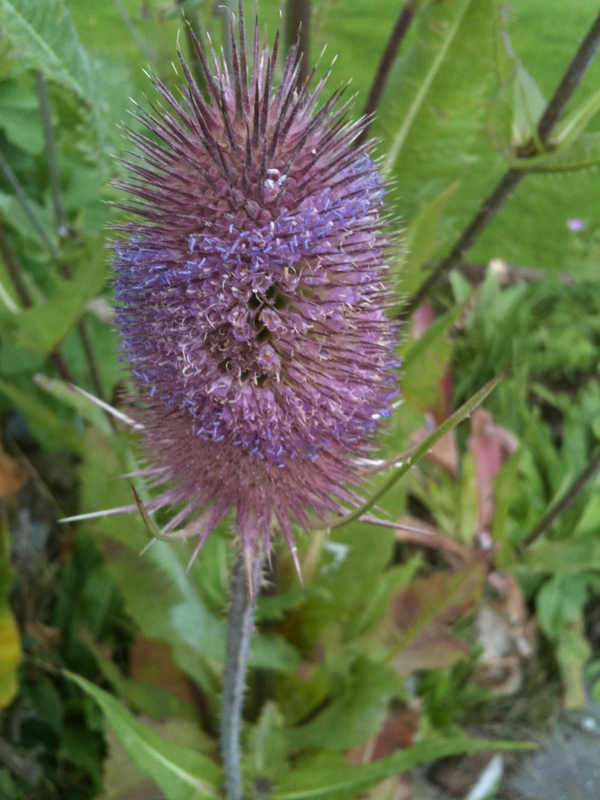 Flowering periods can be prolonged by deadheading flowers, mulching and watering flowers regularly, preferably with a liquid feed made from nettles, or seaweed and water. Healthy plants will produce more nectar for butterflies. Heathers, Scabious, Knapweed, Honeysuckle, Clovers, Bird-Foot Trefoil, Lavender, Bluebells, Buddleia, Rudbeckia,Valerian, Borage, Lilac, Foxgloves, Fruit Tree Blossoms, Viburnum, Yarrow, Aster, Cornflower, Hollyhock, Mint, Thyme, Sage, Oregano, Rosemary, Fennel, Chives, Primrose, Viper’s Bugloss, Nepeta (Catmint), Columbine, Lavender, Purple Loosestrife, Goldenrod, Lupin, Sea Holly, Phlox, Cornflower, Sedum, Bergamot, Azalea, Echinacea, Verbascum (Mullein), Geranium (Cranesbill), Teasel, Red Campion, Ox-eye Daisy, Cowslip, Bluebell, Sweet William, Californian Lilac (Ceanothus), Broom, Bugle, Flowering Currant, Poppy, Comfrey, Cardoon, Hyssop, Delphinium, Rock Rose, Salvia, Michaelmas Daisy, Ivy, Chrysanthemum, Wallflowers, Forget-me-Nots, Bergenia, Cosmos, Flowering Brassicas (i.e. Kale and Broccoli). St. Brigid is associated with the first stirrings of Spring, and the traditional beginning of the Irish horticultural year. 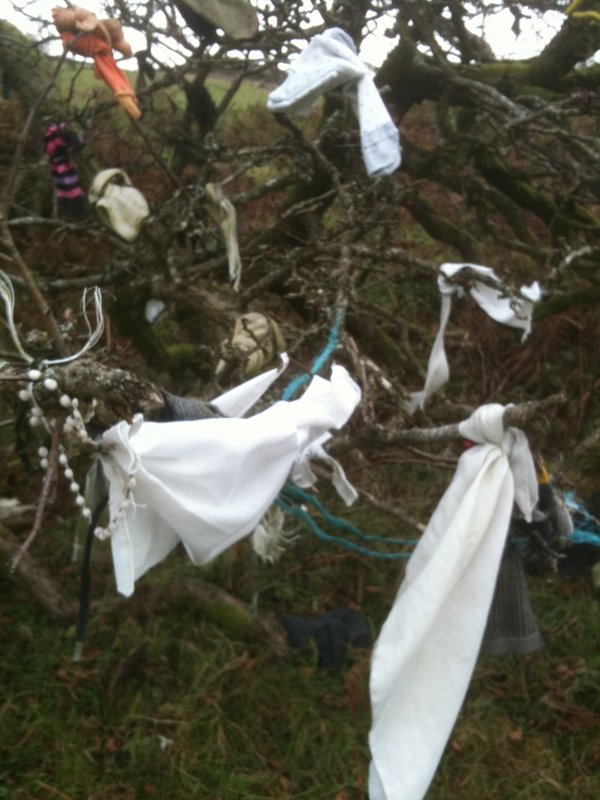 Her festival marks the decline of winter and the quickening of growth (yet unseen). A garden for St. Brigid would be composed of wild plants and herbs, it would be rich with remedies, symbolic plants and sculpt a sanctuary for the senses. More of a habitat than a garden, it would be densely layered with edible plants, native trees and wildflowers. 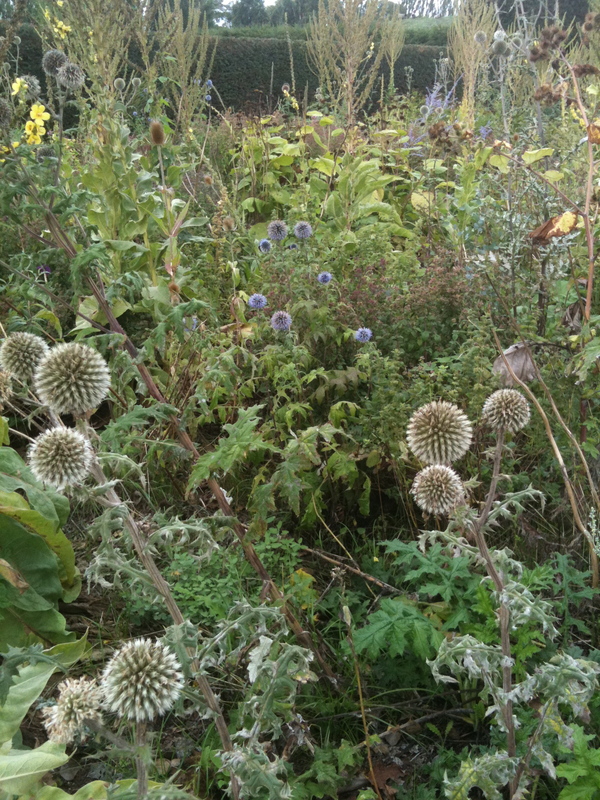 An inspiration for her poetry and a garden alive with vitality and natural creativity. Birch: A symbol of birth, regeneration and new beginnings. The first tree to colonise new ground. Rowan: The berries are used for jelly and jam when cooked and strained. “The rowan or mountain ash has always been considered a tree of formidable magical and protective powers due to its bright flame red berries. An alternative name, ‘quicken’, refers to its ‘quickening’ or life giving powers, while the Irish name caorthann derives from the word caor which means both a berry and a blazing flame” (Niall MacCoitir). Hazel: Represents poetic inspiration and wisdom. The hazelnut is a symbol for the heart and for nourishment. 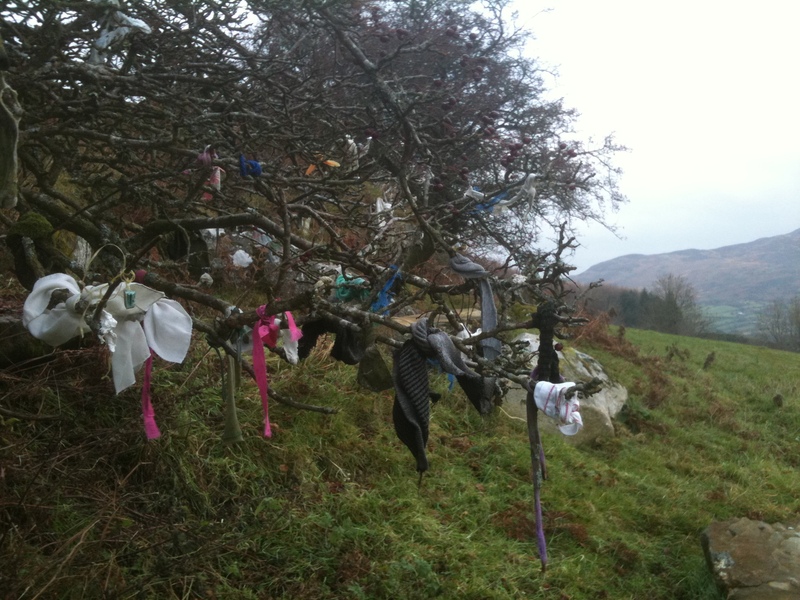 The nine hazel trees of wisdom appear in a number of Irish myths. Elder: The flowers are used to make elderflower cordial in June, and the berries can be cooked into chutney or jam. The cordial helps to boost the immune system and the berries act as an antioxidant. Mugwort: Symbolically, it protects against harmful influences. Traditionally in Ireland mugwort was held over the bonfires of St. John’s Eve (June 23), the smoke was purifying. If not placed over the fire of mid-summer, mugwort was made into garlands for the home. Rosemary: To aid recuperation and restore vitality infuse rosemary as a tea. Associated with remembrance and relaxation. The herb can also be added to soups, stews, cakes, etc. Vervain: A tonic for stress, and considered one of the foremost magical plants in Europe. Once tied to cattle to protect them from harm. In County Kilkenny vervain was dipped into holy well water and sprinkled around the boundaries of the farm, to ensure abundance and prosperity during the growing year. 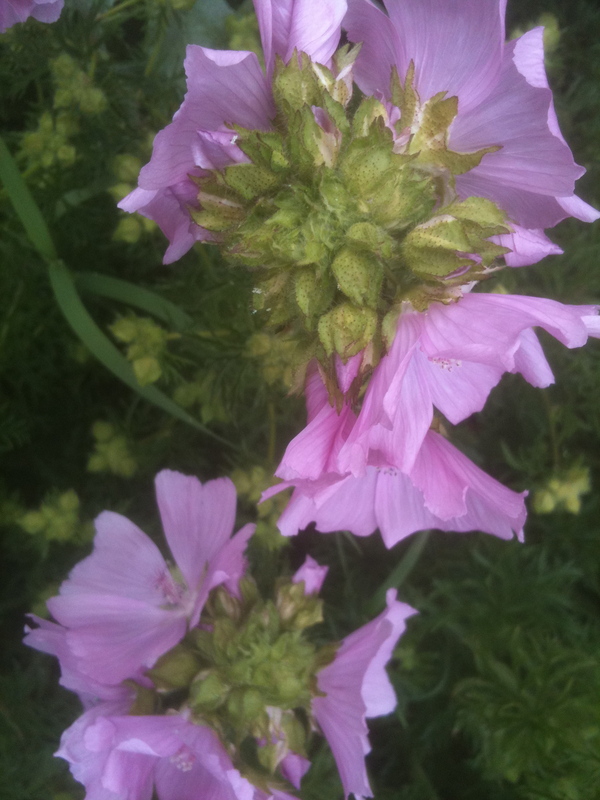 Mallow: Mallow’s young leaves are edible when cooked and its flowers are also edible. 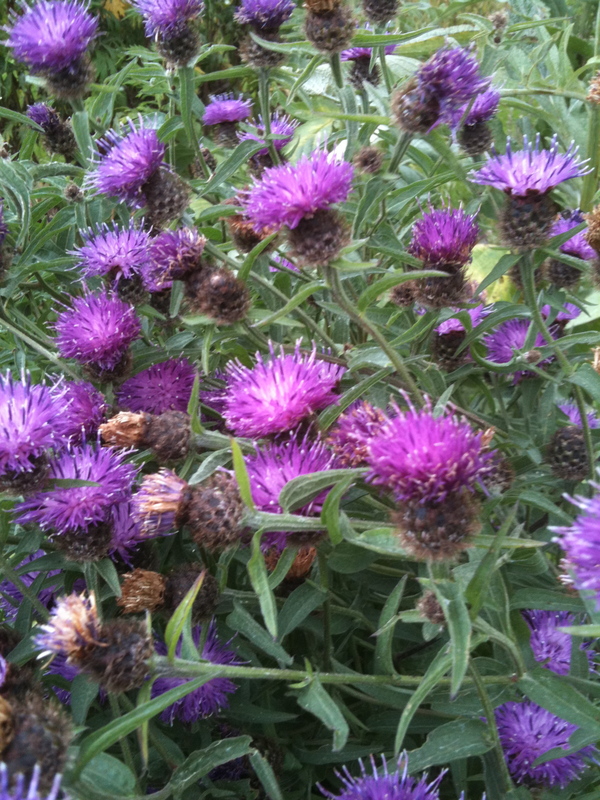 As a herb it bestows soothing and calming properties. Honeysuckle: This flowering vine combines beauty and strength. It is also known as woodbine, because over time its supple stems wrap firmly around trees. “This has made it a symbol in Irish legend of strength and slow, inexorable power” (Niall MacCoitir). 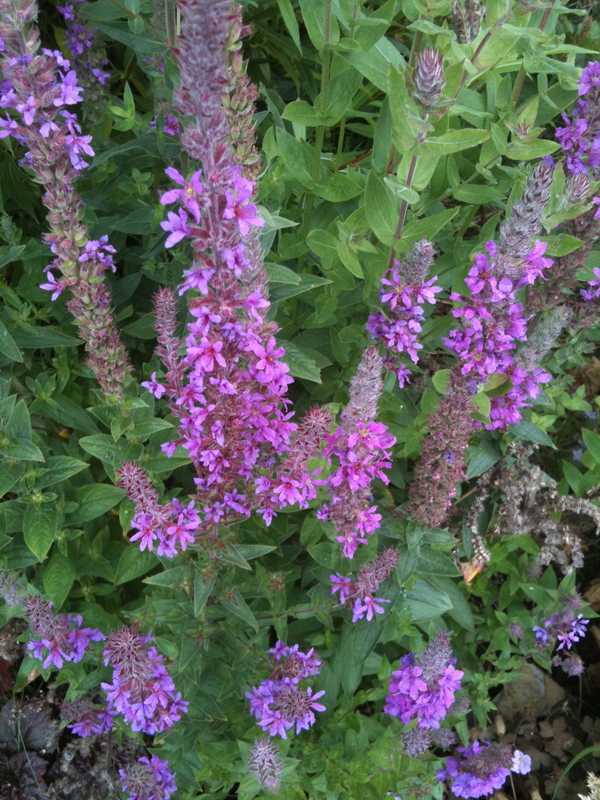 Hyssop: Can be infused as a tea for bronchial complaints, hence its name “The Breath of Life”. The leaves can be used within salads, soups and stews. The flowers are edible. Meadowsweet: It’s association to sweetening mead and flavouring cordials, and it’s healing properties pertaining to colds and fevers, has gained meadowsweet a valuable reputation. Wood Avens: Wood Avens or Herb Bennet (Blessed Herb) was the inspiration of European architects who adorned its carvings upon buildings. The roots have a spicy and sweet smell. The plant offered protection against harmful influences. Mullein: A medicinal plant for coughs and asthma, a tea from its flowers can aid sleep. Once referred to as Lady’s Foxglove. Traditionally a small portion of mullein was carried for protection. Thyme: As a tea thyme can help to fight infections both internally and externally. It can be taken as a drink, or be applied externally to infected areas. There are two versions for the origin of the name thyme. “In Greek , thyme means to fumigate and the Greeks burned the herb as a disinfectant. Also from the Greek, thumus means courage” (Victoria Zak). 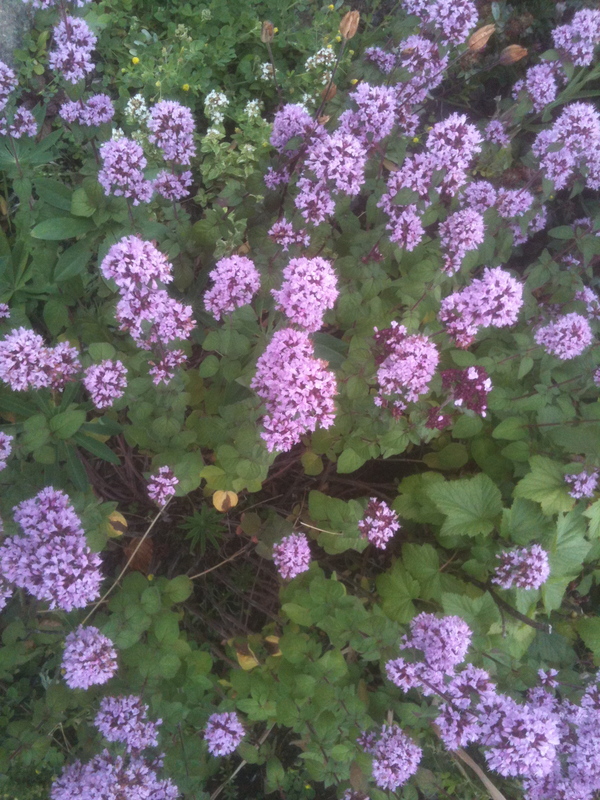 Thyme leaves and flowers can be added to salads, sauces, soups and desserts. Comfrey: Traditionally applied to sprains and fractures. A compost activator, with edible very young leaves, and an effective liquid organic feed. Lavender: For flavouring, rest, and the restoration of harmony. Lavender tea can aid anxiety and tension. “Lavender, from the Latin lavare means “to wash” – and that means body, mind and spirit” (Victoria Zak). Primrose: In Ireland the primrose was linked to May Eve, small bouquets of primroses were collected by children and displayed within doorways or windows. Flowers could also be thrown over the entrances, or thresholds of the home, in order to protect the inhabitants from harmful influences. St. John’s Wort: This medicinal herb is also linked to the June feast of St. John, offering another layer of protection for the home and farm, when it was smoked over bonfires. “Being in possession of St. John’s Wort ensured peace and plenty in the home… and growth and fruition in the field” (Niall MacCoitir). Yarrow: Used for love charms, as a medicinal tea (for coughs and colds), and for the cleaning of wounds. In early spring the leaves can be steamed and eaten. References: Irish Wild Plants: Myths, Legends and Folklore by Niall MacCoitir, Irish Trees: Myths, Legends and Folklore by Niall MacCoitir and 20 000 Secrets of Tea by Victoria Zak. 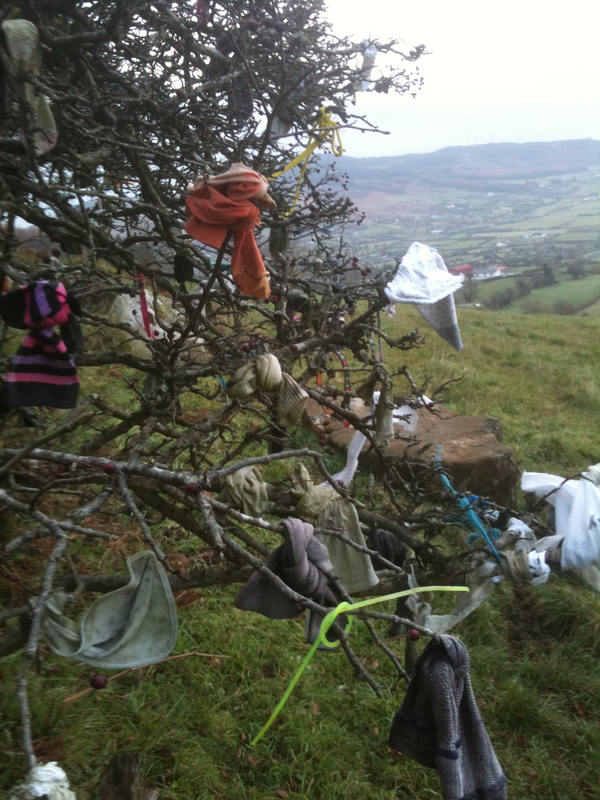 Pictures: St. Bline’s Well located on the side of Slieve Gullion, County Armagh, Northern Ireland. 7. Move vegetable gardens to the front of the house (or school or community centre), and vow not to work in tidy rows. Vegetables grow better within communities of different kinds of edible plants or even within flower beds.